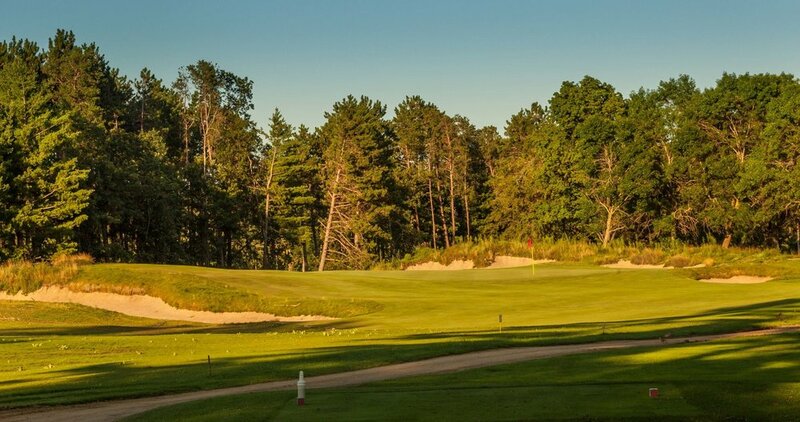 Is Wisconsin the #1 Summer destination for golf in America? YES!!! Wisconsin has been in the golf news a lot over the past couple years , from hosting major championships at Whistling Straits and Erin Hills, to the opening of Mike Keiser’s spectacular new golf resort, Sand Valley, Wisconsin is now a true golfing destination. You can fit so much great golf into one trip, it’s not unlike a golf adventure to Scotland or Ireland. We have world-class golf, with short drives between stops, and some of the friendliest and most welcoming people on the planet! Why are people so friendly in Wisconsin? We don’t know, but we are!! We are proud of our great state and want you to feel at home here. Summer weather in Central Wisconsin is ideal- with warm days and cooler nights. You will actually see the stars at night, and you will very likely return home having seen bald eagles, deer, big wild turkeys AND some cool golf courses! Your next golf adventure is in Central Wisconsin! CENTRAL WISCONSIN AND THE WORDS “REALLY COOL GOLF TRIP” WOULD HAVE BEEN MUTUALLY EXCLUSIVE 20 YEARS AGO. TODAY, THEY GO TOGETHER LIKE SAND AND VALLEY.